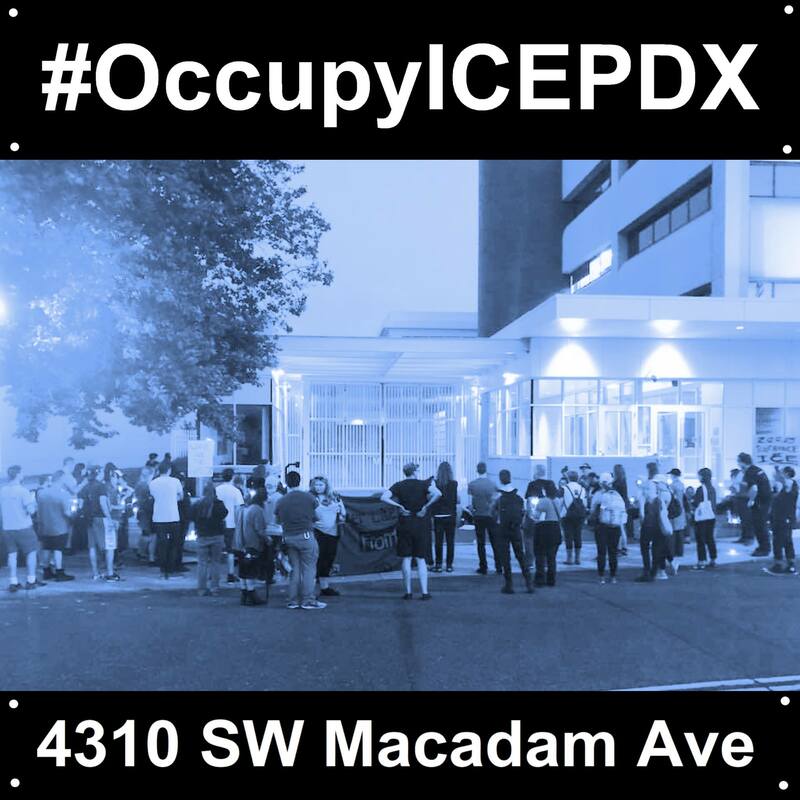 A growing occupation has been launched at an ICE building in Southwest Portland. It needs funds, materials, and support – but most of all, bodies on the ground. As of this posting, the occupation outside Portland’s Immigration and Customs Enforcement building has entered its third day and a soft blockade has grown to prevent vehicles from entering the facility. After an uneventful immigrant rights rally at the facility on Sunday, a handful of individuals spontaneously decided to occupy railway land outside the facility at 4310 SW Macadam Avenue. This small autonomous action has grown as outrage swells over the Trump administration’s inhumane immigrant detention policies. More campers have arrived, food and supply donations are overflowing, and the ranks of people blocking ICE traffic continues to grow. We are calling for other anarchist and anti-authoritarian comrades to join this effort and help build this occupation into a space for militant direct action and radical encounter. As the occupation grows there will be new opportunities to strike back at ICE’s incarceration-machine and other nearby sites of exploitation and oppression. Let’s show the country what it looks like to actually abolish ICE.